Garden fresh broccoli is everywhere this time of year, and this soup recipe is just right. 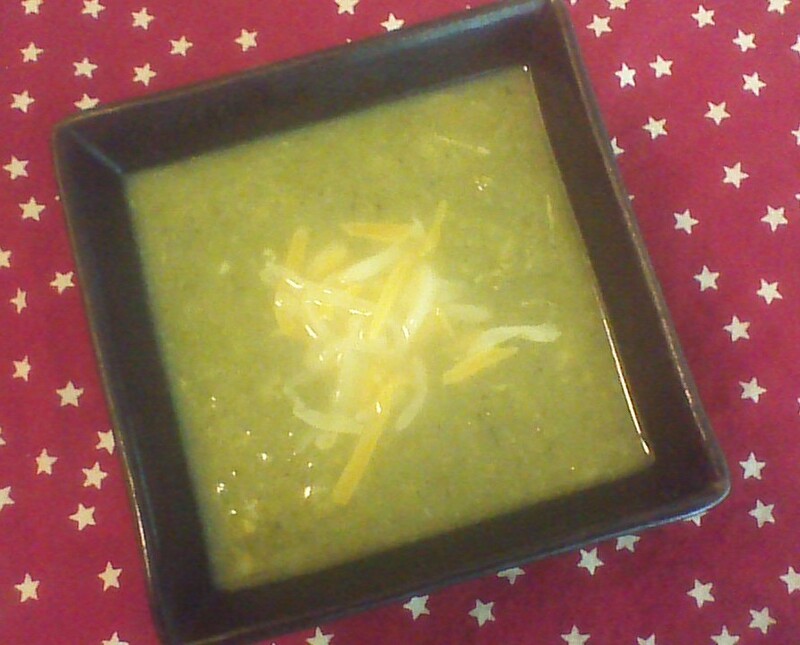 Too many cheesy broccoli soup recipes are essentially a brick of melted down processed “cheese” food-like substances with a stalk of broccoli waved over the top. Steer clear. Those glumpy orange soups are fat laden and nutritionally weak. This recipe is chock full of fresh broccoli! It’s flavored with delicious chicken stock and just enough real, melted cheese to keep things interesting. One serving of Easy Cheesy Broccoli Soup offers 4 grams of fiber and over 200% of your daily need for Vitamin C, all for about 100 calories and very little effort in the kitchen. Enjoy! Step 1) Combine all ingredients except for the cheddar cheese in a large pot. Bring to a boil, then reduce heat. Simmer, covered, for 30 minutes or until broccoli is soft. Step 2) Once the broccoli is soft, remove heat and allow to cool for a few minutes. Step 3) Puree the cooked broccoli mixture with an immersion blender. If the mixture is too thick, add more chicken stock or water (1/2 cup at a time) until desired consistency is reached. Step 4) Stir in the shredded cheddar cheese and serve! For cheesier soup, add 1 cup of shredded muenster or fontina cheese along with the 1 cup of shredded cheddar cheese. Don’t use mozzarella… it just doesn’t work well in this soup. For a more savory flavor, add 1/2 cup of cooked, crumbled bacon along with the shredded cheddar cheese. This adds calories, but tastes amazing! For a pretty presentation, sprinkle the top of each bowl of Easy Cheesy Broccoli Soup with diced red pepper and one or two seasoned croutons. 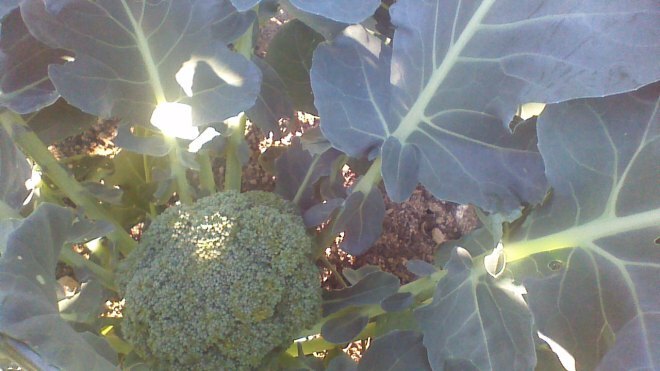 This entry was posted in Gluten Free, Soups and Salads, Uncategorized and tagged broccoli, Cooking, Food, frugal, Garden, Gluten Free, gluten-free, Green, Homesteading, Paleo, Recipes, soup, Vegan, Vegetarian. Bookmark the permalink. ← Tokyo Food Tour! Ramen! This soup looks rich and flavorful without the addition of all that evil cream! I will definitely try this. I continue to campaign for summer soup in my house. We enjoy lots of soup in summer, because it’s fast. Maybe we’ll have it with a garden salad or ice cream instead of something warm or heavy, but soup reigns around here!